Join us for the Oral Cancer Cause Bubble Challenge! April is Oral Cancer Awareness Month, and Hughes Family Dental is showing support by participating in the Bubble Challenge. This charity’s motto is, “Blow a Bubble for Those Who Can’t,” to help create awareness about oral cancer and help survivors. 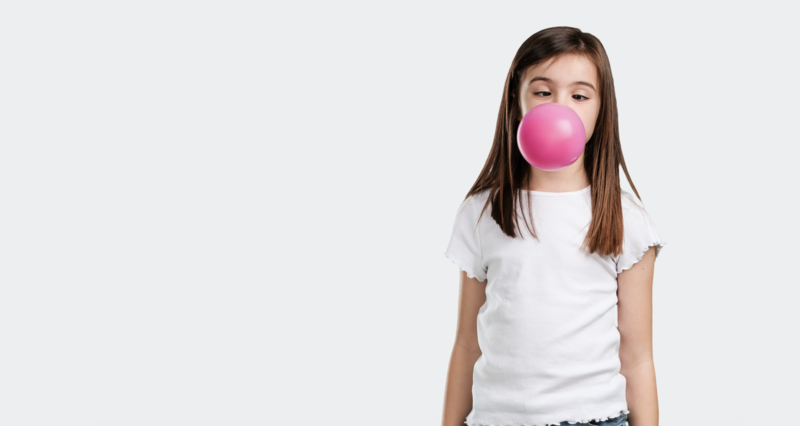 We are asking our patients to blow a bubble for the cancer survivors who can’t, take a photo and share it to social media with #bubblechallenge and #hughesfamilydental (on facebook), or @drkarenhughes (on Instagram). We also ask you to donate $1 to Oral Cancer Cause and we will match it up to a total of $500. This money goes toward improving the quality of life for oral cancer patients, so that they may face the world with peace and dignity during and after medical treatment. Most people also think oral cancer only occurs in smokers. However, this is untrue. Oral cancer affects many people. As a dentist, I see many life-changing conditions of mouth, but one of the most devastating is oral cancer. Many survivors must have their mouths reconstructed, teeth removed, palates removed, and/or sections of their tongues removed. They cannot eat, chew gum … or blow a bubble. We actually check every single patient for head and neck cancer during routine exams, because early detection is key. Take your photo blowing a bubble. Donate $1 (or more) to the Oral Cancer Cause here. Let your loved ones know about the Oral Cancer Cause. Why Did You Became a Dentist?